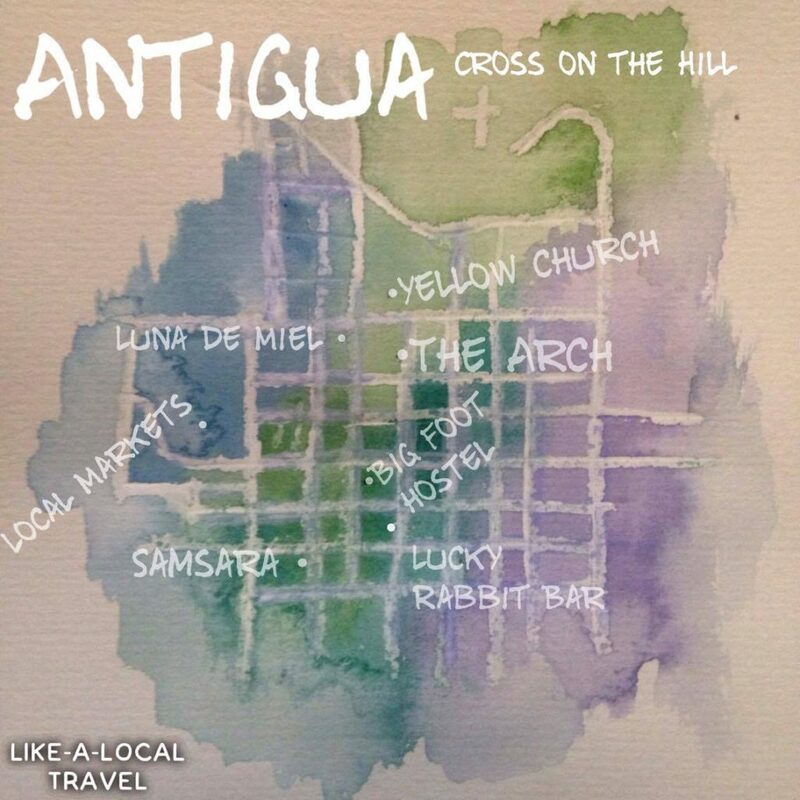 There are plenty of hotels and hostels to stay at in Antigua. I would recommend Big Foot Hostel for its beautifully clean and spacious rooms, and its perfect location in the center of the city. Street food is the way to go. At night outside the big yellow church in the center of town there are some lovely ladies selling delicious vego food, about $1 (AUD) will get you two filling and absolutely delicious wrap things. I have no idea what they called but I love them, so.. so much. 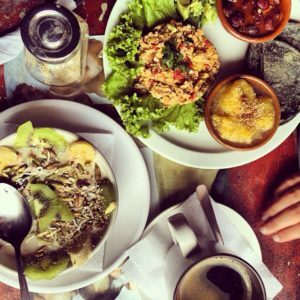 Samsara: This is a vegan/vegetarian haven. Be warned, it’s a little bit more costly than other places in Antigua, but the food was delicious and I was craving oatmeal so much. If you go, make sure to check out the toilets. Imagine a crazy rave in the cubicle. It’s awesome! Would definitely recommend this little gem. Luna de Miel: CREPES. SO MANY CREPES. This place has the most delicious creations. Savory or sweet and open late: perfection. Be sure to sit upstairs outside to take advantage of the beautiful rooftop area. Nutella/strawberries or anything with Brie cheese would easily be my recommendation. If there is nothing going down in your hostel head out and walk around the ‘yellow bridge’ area. There are a few good little wine bars here to take advantage of! Otherwise if you are looking for a bit of fun and maybe a few drinking games, hit up The Lucky Rabbit. Ladies get in for free and men have to pay a small entry (usually about $1-2 AUD). The drinks are cheap, the bartenders are so much fun, and the crowd is fun-loving. Try your hand at the giant Jenga game or the beer pong. 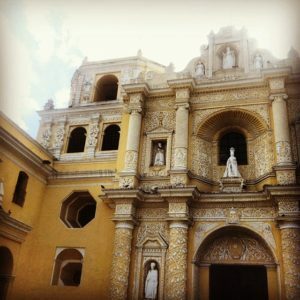 The Yellow Church and Arch: The two most iconic buildings in Antigua are the Yellow Church and Arch. These are beautiful pieces of architecture (and perfect for awesome instagram updates). I never went inside the church but loved standing outside it checking out the incredible attention to detail. 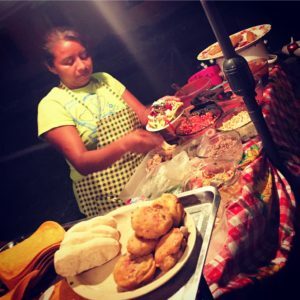 Next to the arch are some lovely little wine bars and shops selling local Guatemalan items like bags and clothing. 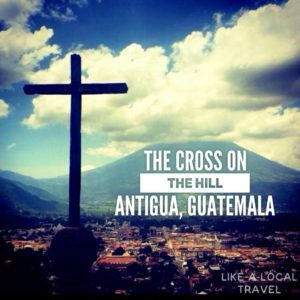 Cross on the Hill: A beautiful free way to explore Antigua is to go up to the cross on top of the hill that looks over the city. It’s pretty easy to walk up and the views from the top are lovely. Check out our map as to how to get up there by walking! The Markets: If you want to experience a hectic market place, look no further than the local markets. It. Is. Insane. But fun to see the food and shopping culture. Make sure to hold your bags close and get used to a few weird looks if you’re not a local, but enjoy all the crazy sites and smells. Pacaya Volcano: The easiest way to get to the volcano is to book a tour, the hostels usually have good prices, otherwise there are plenty of travel guides on the main streets. 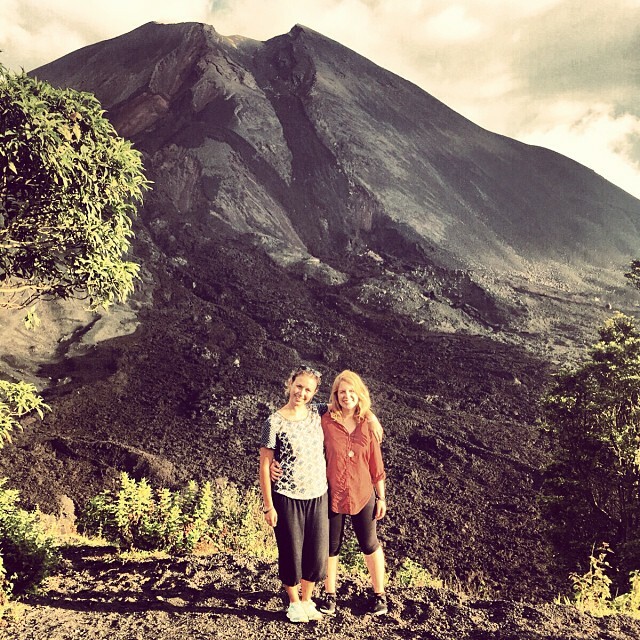 Pacaya volcano is stunning. It’s a bit of a trek, but totally worth the effort (don’t go if you can’t handle some serious walking, it’s not Everest but the view isn’t the only thing that will take your breath away). The locals in the area will attempt to sell you a horse to go up on, I would not recommend this as with any animal tourism the animals are often not well cared for. Besides, it’s good to get a bit of exercise! 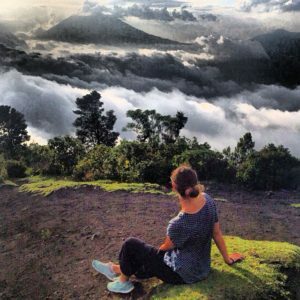 Once you get to the top you will be treated with a beautiful view over the clouds, or if it is a clear day you’ll be able to see for miles. After that you’re guide will take you down to see the actual lava, which is solidified from the last eruption. Some guides (ask in advance if you’re interested) take marshmallows with them to roast inside the lava, what an experience! Don’t you want to tell people you roasted marshmallows on an active volcano?! Ladies keep your wits about you when walking around at night. I would not recommend walking alone at night (day is fine). We did encounter a creeper trying to look up my sisters skirt while walking to the cross on the hill so just remember to stand up for yourself if anyone does anything that makes you uncomfortable and remove yourself from any such situations.